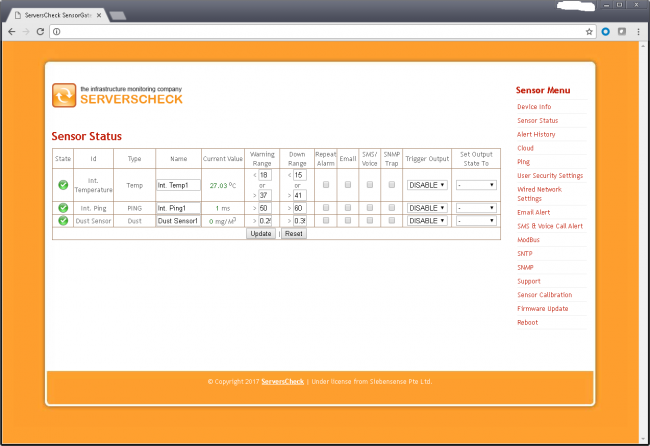 I have just installed recently purchased latest version of SensorGateway together with Optical dust sensor probe. For some reason, dust sensor probe shows 0 no matter where it is installed. It is hard to believe that very small test server lab is that clean. Otherwise, dust probe is not sensitive enough. Is there a reliable way to make it show some number? I tried blowing on it but no change in numbers. Perhaps, sensor gateway needs an external power supply? I am currently running it of PoE. mariusp can you post a screen capture of your sensor status page? Also what firmware are you using? 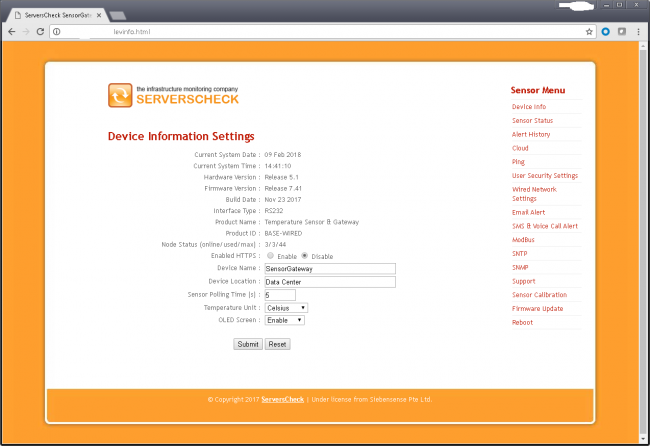 I am attaching both device info and sensor status pages. mariusp that doesn't seem normal - you can request a RMA repair from your order page. They will then test the unit and repair it. Before I request an RMA - is there a reliable way to test it by simulating a dusty environment? Such as blowing on the sensor directly. Based on specification it is supposed to be very sensitive. If it senses 0.2mg to cubic meter then it should show something in pretty much any typical environment such as office or server room. Hi mate, I covered the hole of my dust sensor using 2 of my fingers and the values changed. thats how I tested mine. Sensor_Panda - hello and thanks for reply. Was it showing dead 0 for you as well or some other number? What bothers me is that if it is a legitimate 0 in the environment I have put it in then sensor is not sensitive enough. I have put it in a crammed small lab where I can see dust getting collected on the equipment. In any event, I already mailed the sensor in for RMA repair.